62384, 62416, 62372, and 62361. Lot codes can be found under the sell by date. The grass fed flavored chicken, beef, and chicken are affected. The company is doing a voluntary recall due to possible contamination of Listeria monocytogenes and salmonella. For refund claims. 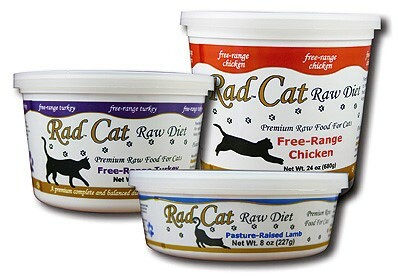 Go to www.RadFood.com or call Radagast Pet Food Inc at (503) 736 - 4649 for further assistance. Please share this recall with as many pet consumers and animal lovers you know. Thanks for the informative post! I've never bought this for my cats, but glad to see you are spreading the word. Thank you Sarah, I try and share any recall I learn about when it comes to pet foods.